Every new parent seems to get caught in the baby equipment trap including me. The amount of baby equipment we bought and used minimally for our oldest could sink a ship. We didn’t think we’d have a third kid so we had given away all our baby equipment after the first two. This was the list we bought the third time around, and I would still trim down if I had to do it all over again. 1) Best Stroller. I lived in the city for the first two kids so this stroller works well in the city. My husband insisted that the stroller recline because he hated when his darling’s head rolled forward when asleep. He also insisted on a 5-point harness strapping system. I needed on a stroller that could collapse with just one hand, a necessity when you are holding your child and still have to collapse the stroller. An added bonus is the strap that allows you to carry collapsed stroller on your back and still carry baby. I hit situations on the subway where connecting subway stops requires traversing several flights of stairs because there was no elevator. I also like a light stroller. This one is about 6 pounds. When we visited NYC, we noticed all the moms used this stroller. So, a caveat, this is a great stroller for city living. Works fine for suburban life too. There are other great strollers that are less expensive, but this worked for us. Maclaren Volo Stroller, $130. (click on picture to purchase at Amazon.com). Best Double Stoller. I had a MacClaren double stroller but didn’t love it because it was very wide, very heavy and hard to open and close. If I had to do over, I would splurge on the Phil and Ted’s Sports Stroller. It’s all terrain, streamlined, and just so cool. Moms at her baby music class raved about it. This might be an item I’d suggest putting on a baby shower list so that everyone chips in for one big present, and at $539, it’s expensive! 2. Best Car Seat. 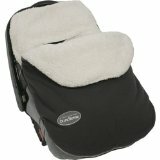 Hands down the safest car seat is the Britax Roundabout Convertible Car Seat. This is the car seat I should have bought the first time around and used for all three. Again, not the cheapest at $209 but very safe and LASTS. I only used convertible car seats for my first two. I broke down and bought the Peg Prego infant car seat system with the car seat that snaps out and into a stroller so my little darling could sleep undisturbed. I didn’t have this for the first two. I think that it really depends on your baby. My first was a sound sleeper so it was fine to physically remove her from her convertible car seat and put into a stroller or baby bjorn. 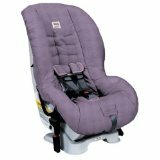 My second was a light sleeper so having an infant car seat that snaps out was helpful. I borrowed this from a friend and used for only about 6 months. The usefulness of an infant system can be priceless but the longevity is short so I’d suggest trying to borrow one if you can. The upside is also that you can get rid of it by returning to owner the minute you are done. 3) Best Baby Carrier. Baby Bjorn. Yes, a little confusing to figure out, but we used this a lot and my babies loved being in it. Not true for all babies, especially active babies. 4) Best High Chair. Peg Prego makes a nice sturdy one but it is a little pricey at $197.99. We had a less expensive one for our first two but I should have bought this one first and used it for all three. My friend raved that this high chair the best splurge she ever spent on baby equipment. 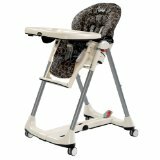 The Chicco Caddy Hook On Chair is also great if you have a thick, sturdy table to attach it to. It’s very space-efficient and easy to clean. 5) Best Breast Pump. Medela. If you need to pump at work in a time-efficient way, the more powerful and more expensive one is worth the money. I didn’t need to pump that regularly so the less powerful, $100ish one was fine, just a little slow. This one is about $273.99. 6) Baby Exersaucer. I don’t have a specific preference but I will say that it was a lifesaver from about 4 months until her darling walked but the minute after that, the exersaucer needed to go. I recommend borrowing if you can. It’s still a little pricey, takes up a ton of space, and you only need for about 6 months or so. 7) Infant Bathtub. I definitely needed one but can’t remember which one I used. The only thing I remember is that her infant tub was big and difficult to store as she had the world’s tiniest bathroom. But again, I recommend borrowing if possible because you don’t need it for very long and it does take up a decent amount of space. 8) Bundle Me. Now that it’s chilly out, I remembered how useful the Bundle Me was. It fits on an infant carrier bucket or the Maclaren stroller and probably most other strollers. It’s like a sleeping bag for baby. It’s especially nice when your baby falls asleep and then you go indoors because it’s easier to open it up so your baby doesn’t get too hot versus taking the snowsuit off. The only thing is that it’s lasts from infants to around 2 years old, depending on how long your child is. 1) Bouncy Seat. I owned three different ones at one point and my babies hated every single one. A complete waste of money and space for me, but some of my mom friends swore by it. So I’d would advise try to borrow to at least see if it’s worth the money and space. 2) Crib. I abide by Drs. Sears and Sears and co-slept with her babies. I do not know any mom who nursed for 12 months or beyond without co-sleeping with their babies; however, one mom from my college freshman dorm just emailed that she was able to do it. But for me, I do not function very well when sleep deprived and my babies were not great sleepers at night until they were weaned. A crib was not necessary for me but I am a strange anomaly. My babies went straight to regular beds. I realizes that this is unusual but I can’t give advice on the perfect crib having never used one. 3) Baby Monitor. Nope, didn’t really need it but I also lived in VERY small spaces so it wasn’t necessary. My sister loved the video baby monitor but she’s a techy type. 4) Pack and Play. Nope, never used it. Other moms found it immensely helpful but I didn’t have the space and never missed it. I hear these are great to have when traveling to use instead of a crib. 5) Baby Walker. My oldest LOVED the walker but sadly after a week or so her pediatrician told her to nix it. Seems it contributes to lots of accidents and delays your darling’s brain development for gross motor skills. Something about your child not being able to see his feet as he moves scrambles their brain and delays their ability to walk.